Top 2 photos are part of a series for the Brooklyn Sketchbook Project 2013. I will include haiku in this sketchbook also so I am nearing completion of that project. Wishing you all a fun and safe holiday weekend. Beautiful shots. Great capture of the moon. I could never get enough of the moon. So lovely! You are a child when start drawing. Afraid I have gotten hopelessly behind. I'm trying to play catch up today. I have just scrolled through the last couple of weeks of your post. Considering I can't even draw stick figures I enjoyed your great artwork and I'm envious of your talent. The beach is one of my favorite places to visit so the oar/ocean, gull and beach shots restore my soul. I do hope that Isaac hasn't sent to much your way. You also had some lovely sky and moon shots. I caught that last blue moon here and it was lovely. Your sketch and blue moon photos are fantastic. Wishing you a wonderful Sunday. 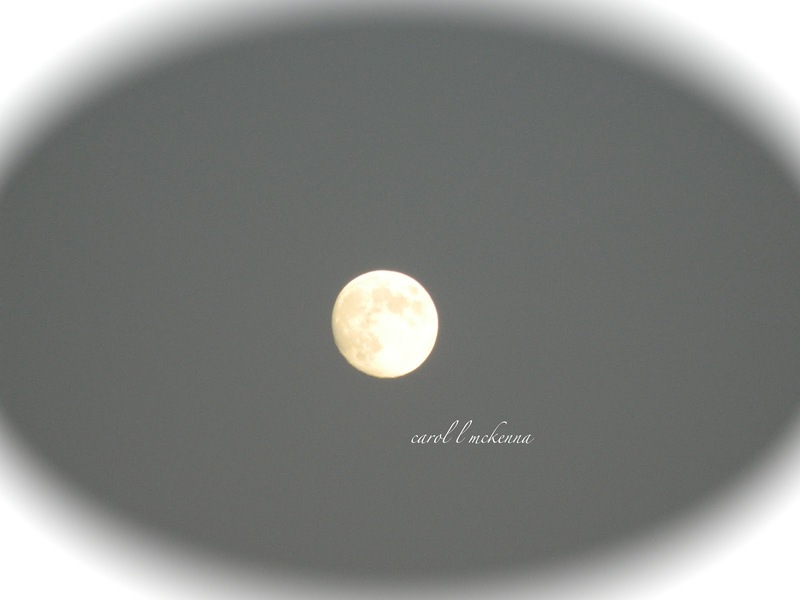 Lovely blue moon photos Carol. I like the color added the best. You can get so close to the moon. My camera doesn't even get as close as your far away shot. Nice! Love the colour blessing bowl, the girls are lovely! I read your last post and really loved the haikus. Great photos. Love the second shot of the moon. While the first one is close up and shows the moon very well, the second one shows not only the moon but the colors of the sky too. Great Capture! I love these drawings and the pictures of the moon! Your sketch project is very interesting! Great photos of the blue moon! your blue moon photo's are great! Really marvelous work!! Happy weekend to you! Oh my gosh. I love that blue moon photo with the pink and blue in it. You are making me want to look at the moon more often. Hi Carol and AMD, I always feel welcomed by your creative offerings here. This month we both took Blue Moon photos from different parts of the world. I like that. Have a lovely week.